June 2018 will not be the simplest month in the life of many members of the Sagittarius sign of the Zodiac, but very productive and successful. Pragmatic and judicious Sagittarians will be able to fully realize all their ideas and achieve much more than expected. This month, Sagittarius is unlikely to be able to rest, as a lot of new opportunities will emerge from all sides, which will contribute to career growth. The influence of planetary aspects will favorably affect the professional qualities of representatives of this Zodiac sign. 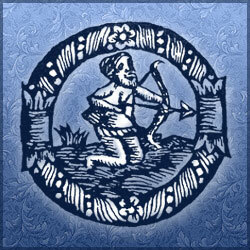 Sagittarius will be resolute, persistent and purposeful. In whatever you undertake, everything will turn out fine, then greatly surprise your colleagues. Together with this success in the professional field, Sagittarius will also have envious people. The June horoscope warns you during this period to be more attentive to your surroundings and does not brag too much about your achievements or methods by which you achieved them. The first weeks of June 2018 for Sagittarius will be a slightly chaotic and unorganized period. Representatives of your Zodiac sign, under the influence of aspects of the planets, will experience some scattering and confusion. So many plans, so many goals, and where to start implementing them is still unclear. Try to outline in advance an approximate plan of action; think through possible scenarios to minimize all risks. Before you, now and then, there will be a choice that will be difficult to make. Often there will be doubts about the correctness of the direction taken. To avoid this, try to focus on the most important; prioritize, and listen to your intuition, which this month will not fail you. And, do not forget that to get something, to achieve something, you always need to sacrifice something. Think carefully what for you is the best solution; look for options with minimal losses and costs of effort and energy, and you have more than enough for it. The middle section of June 2018 is the time of outer discovery and self-discovery. Under the harmonious influence of the aspects of the planets, Sagittarius will be able to discover new abilities, hidden talents, to maximize their potential. Some of the members of your Zodiac sign will decide to change their place of work, and some will decide on an important step - to legalize the relationship with a loved one. Some decide to become a parent and will make every effort to succeed. This period is favorable for any endeavor: for self-development and improvement of skills, or for raising your qualification level. Do not be afraid to try your hand at something new. Do not be afraid of mistakes and failures, because failures are an excellent motivation for the following attempts to achieve the goal. Make efforts, learn, gain experience, develop and expand your social circle. Stars do not recommend sitting at home in your free time. Go to crowded places, learn new things, and be interested in the latest news in the worlds of fashion, science, and medicine. The ending days of June 2018 will bring Sagittarius the long-awaited fruits of their labors. The influence of the planetary aspects will make the representatives of your Zodiac sign touching and romantic. You will often create pleasant surprises for your loved ones, surprising them with insane acts. Inventiveness and imagination will not end. Despite the romantic period in the relationship, Sagittarius will not ignore their work. On the contrary, achievements on the love front will inspire more serious achievements, so you can achieve even greater heights. During this period, you can expect an improvement in your financial situation, which will resolve debt issues and enable necessary purchases. Perhaps it will be a car or real estate, or maybe jewelry. In any case, Sagittarians will be able to please both themselves and their loved ones.